NOTE: This Lennylamb listing is on a pre-order basis. Please expect at least 2 weeks to get your order. Lennylamb’s bestselling design, the Symphony. 100% cotton, lovely colors, and can easily hold a newborn up to a toddler. 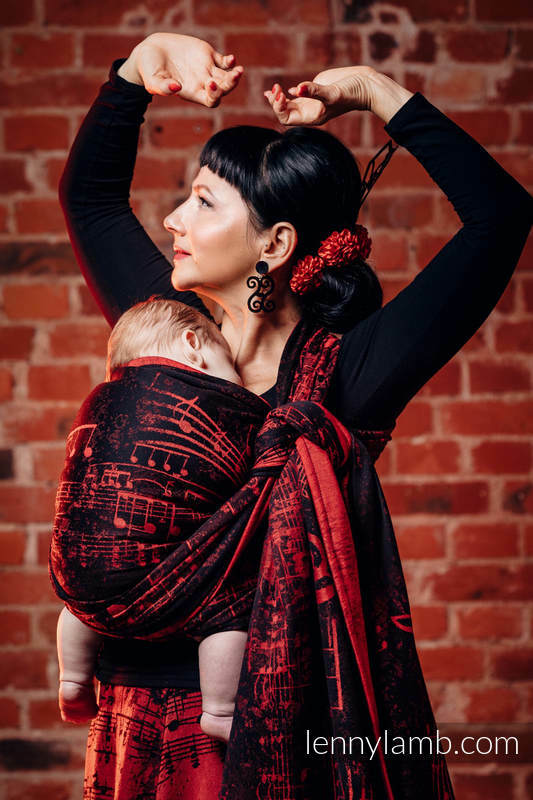 Long Woven Wrap is a perfect carrier for a newborn baby as well as for a 3-year-old. It can be carried in many different ways; the same wrap will fit people of various sizes and silhouettes. Its main advantage is the fact that a woven wrap is always a good choice, no matter the baby’s age, weight or stage of development – all you need to do is choosing the carry that will work best for you. You can try: ‘tummy-to tummy’, cradle, hip or back carries.